The New York Baby Show is an incredible event for families! Whether you are pregnant with your first or have toddlers running around, this is a fun, informative, & family-friendly weekend. Adore Them is so excited to be involved in this event as part of their media team, & we love that we get to share some of those perks with you! 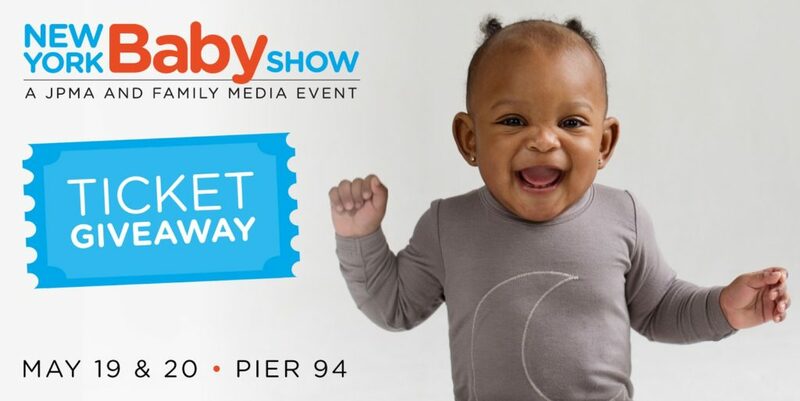 The 2018 New York Baby Show, on May 19 & 20 at Pier 94 will once again be the largest show for new and expectant parents in the country. Now in its 8th year, no other event provides a better experience for thousands of expectant and new families from New York and neighboring counties, seeking a family-friendly jamboree of top brands, great speakers and seminars, big giveaways, and lots of learning, support, bonding, and fun as you make your way into parenthood. All free tickets have been claimed, but we still have 50% off tickets available for you and your family to experience the show so be sure to scroll down for details! Two keynote speakers for the 2018 New York Baby Show have been announced – Jamie Grayson (The BabyGuy) & Dr. Harvey Karp (The Happiest Baby on the Block). Other sessions & speakers will also be available on a variety of topics such as parenting tips, baby gear, infant safety, & other popular parenting topics. The New York Baby Show also houses over 200 top baby brands as well as innovative products for various stages – pregnancy through toddlerhood. You can view a full list of exhibitors & sponsors here. Adore Them’s Co-Owners, Karissa Tunis & Shari Medini, will also be there! This event is planned from beginning to end with young families in mind. There are entertainment options for children as well as opportunities for the parents to learn new information, meet some of their favorite influencers, & do some shopping along the way. There will be A LOT of people attending this event; however, you can get a good feel for the whole event through these images from New York Baby Show 2017. Everything is well organized, & there are different areas to the event to make it feel more inviting & personable. The New York Baby Show is on Saturday & Sunday, May 19 & 20 from 10:00AM to 4:00PM each day.